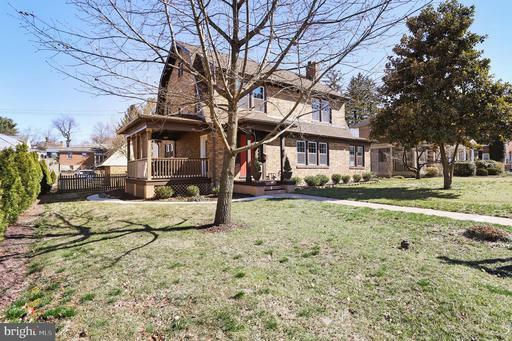 Beautiful Center Hall Colonial - close in location but private park like secluded setting with mature trees. 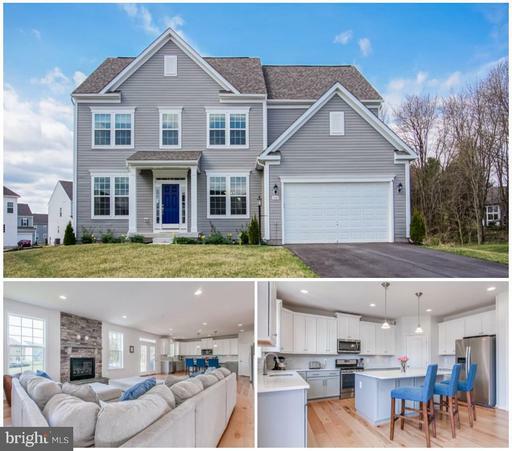 Nine foot ceilings, hardwood flooring, soaring double high foyer entry, open floor plan, large gourmet kitchen with quality cherry cabinetry, large island, built in wine bar, stainless steel appliances, and granite counter tops. Large rooms, master bath with Jacuzzi, and shower stall. Four large bedrooms upstairs including the owners suite with sitting room, master bath, and walk-in closet. Two-car attached garage. Daylight basement walk out. Basement is already framed in for very large in-laws apartment with private entrance. 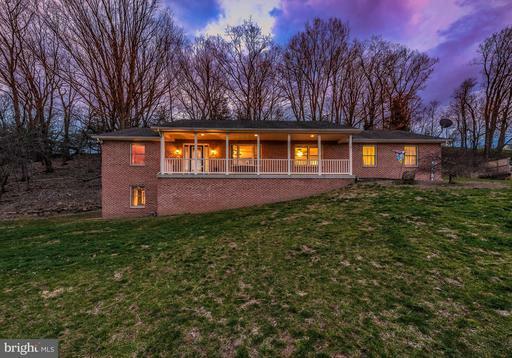 Located in idyllic downtown Myersville, a quiet small town with beautiful views. Blue Ribbon schools. Walking distance to parks, post office, store, hiking trails. Two minute walk to elementary school. 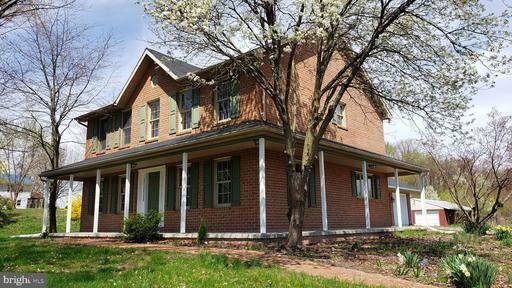 Conveniently located close to I-70 and a short commute to Frederick or Hagerstown. 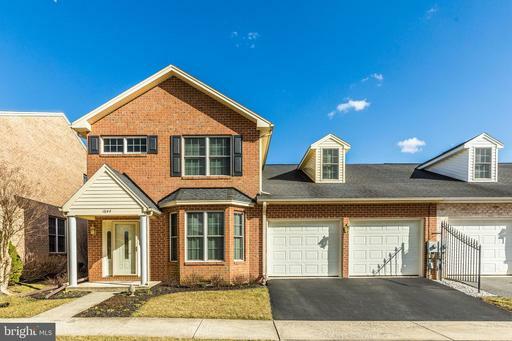 Beautiful move-in ready brick colonial home in desirable community in Hagerstown convenient to interstate and shopping, 4 beds and 2.5 baths. Bright and open plan featuring two story foyer and family room with gas fireplace. Living room, office and separate dining room. Spacious kitchen with gas cooktop and double oven wall. The upper level offers a loft and 4 bedrooms, including a large master bedroom with vaulted ceiling, master bath with double sinks and separate tub and shower. Unfinished walk up stairs basement and two car garage. Go see it today, you will surely love this home! Priced to sell QUICKLY! Outstanding Villa, the main floor is bright and open with two-story foyer, office, two-story Living Room with double sided gas fireplace, formal Dining Room, spacious kitchen with quartz countertops, oak cabinets, tile backsplash and adjacent sunroom leading out to large composite deck offering plenty of room for relaxation and entertainment. Master bed and bath on main floor, jetted tubs and double sinks. The upper floor offers a fantastic loft/family room, large bedroom and full bath. Amazing fully finished/ walkout basement, plenty of room for recreation/ exercising, sauna and steam shower. Additional bedroom no windows and storage rooms. Two car garage. This is a must see, so many details and amenities, dont wait and make this house your home! Welcome to this CAPTIVATING stone-front, elevated colonial home in St. James Village with its extended driveway, 2-car garages 9ft x 7ft, and dramatic stone/concrete steps with black metal railings that will lead you to the front porch with tranquilizing view of the serene community. The cathedral-like solid-wood front door with side-lites will open to an immaculate foyer with bedazzling hardwood floors in the entire main level, freshly painted walls with custom color in the entire main level, an elegant custom wall mirror, remodeled half bath, mesmerizing natural light coming from the oversize dual-panes vinyl-clad replacement windows in all the rooms in the main level, and a regal wood staircase all staircases are wood. On one side you will find the dining room with glowing hardwood floors, crown molding, and chair rails. 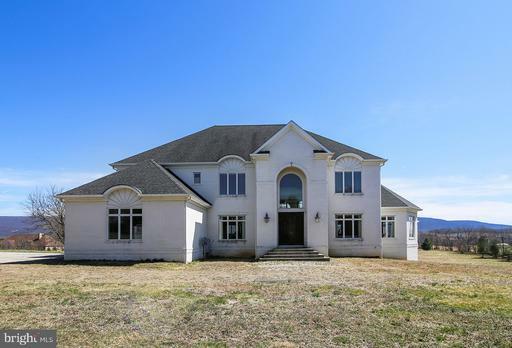 To your left is the private office/library with beaming hardwood floors, crown moldings, and a pair of custom pre-hung French Doors that will lead you to an open scenery from family room through the kitchen. The family room boasts lustrous hardwood floors, gas fireplace with beautiful mantle and an accent wall that reached to the ceiling, this room opens to the vibrant and colossal gourmet kitchen with decorative marble floors, granite countertop, an island, butlers pantry, stainless steel appliances, and the breakfast area overlooking the luxury of a voluminous fenced-in backyard with stone patio. On the 2nd level you will find four 4 bedrooms and two 2 baths, each "huge" room has two 2 voluminous dual-panes vinyl-clad replacement windows that bring sunshine and light, freshly painted walls with neutral color and laminated vinyl wood-like floors. The master bedroom is every couples haven with vaulted ceiling, walk-in closet, ceiling fan and private bath with separate tub and shower. 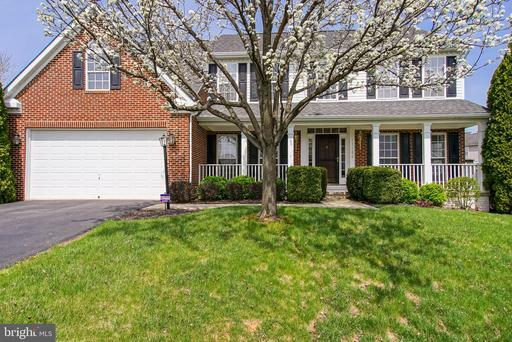 In the basement you will find the 5th bedroom/recreation room with the 3rd full bath. 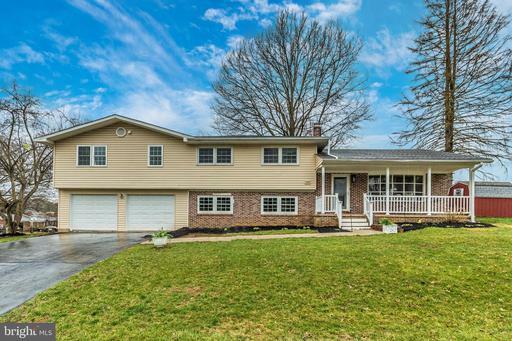 This home will be your pride and joy! 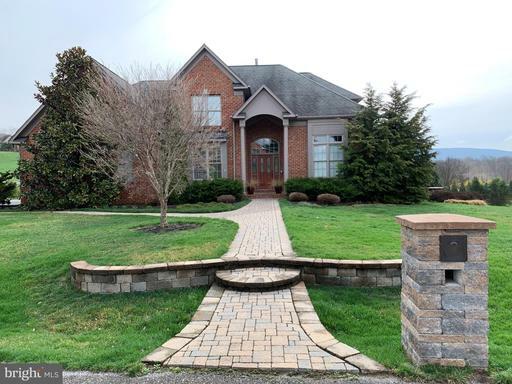 Gorgeous custom built home in upscale neighborhood. Built for the family who likes to entertain. Open concept main level, huge family room that opens to pool, deck, barbecue area, upgraded maple cabinets in kitchen, recessed lighting, reverse osmosis water purification system, real hardwood, gas fireplace,central vac, 50 amp RV elec hookup in garage,the list goes on. 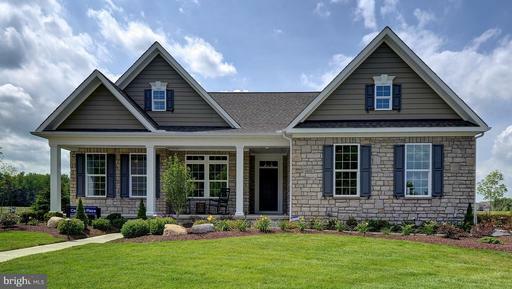 You must schedule a tour to see all this home has to offer. Best of all, NO HOA! 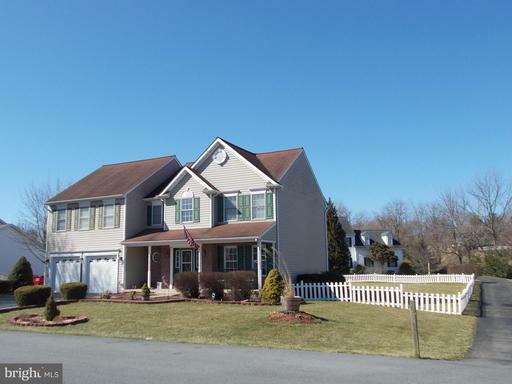 LOTS OF ROOM in this 5 Bedroom 3 bath corner lot home. Completely remodeled. Hardwood floors, all new kitchen, family room, living room and dining room. Office/bedroom upstairs, Huge master suite w/walk in closet, . Lots of storage behind garage, Screen porch to level back yard. You will fall in love with this home as soon as you see it. 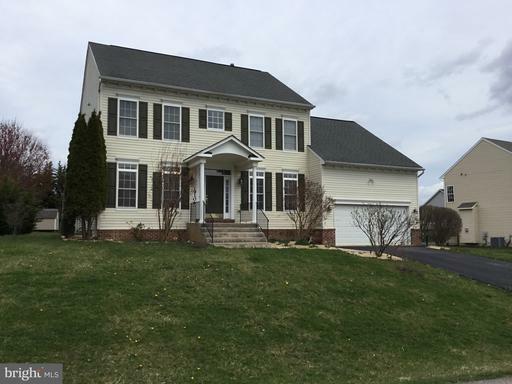 Stunning home offering 4 beds and 2.5 baths. Main level offers family room with gas fireplace, elegant formal dining room, living room, big and bright kitchen with SS appliances, granite countertops and adjacent sunroom. Huge master bedroom and bath with double vanities and separate shower, Finished basement w/ full bath rough in with entertainment room. 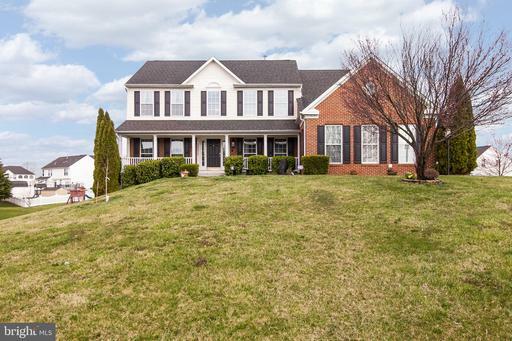 Beautiful patio and pond, 3 car garage, and so much more! This is the home of your dreams. Award Winning Architect Designed Home with 2800 SF of living space including 5 bedrooms and 3 full bathrooms is situated on a quiet residential street with a private rear yard and alley access to a detached 2 car garage. Enjoy the bright open floor plan and warm features with wood floors throughout the main level. The spacious family room with high ceilings and gas fireplace opens to the rear sitting porch and a peaceful rear yard environment. The open kitchen area offers an informal dining area and easy access to the formal dining room. The master suite offers a comfortable sitting/office area with French doors that open to balcony overlooking the rear yard. Finally the unfinished basement offer the opportunity for an additional 1100 SF of finished living space. Come enjoy Hagerstown~s north end living at its best. 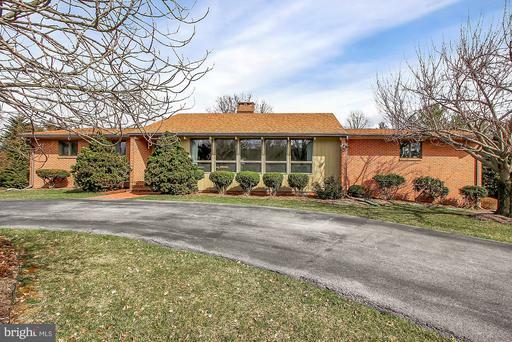 Bright, efficient contemporary brick rancher on cul-de-sac in Fountain Head. Split bedroom floor plan with oak hardwood floors. Upstairs, living and dining rooms share wood vaulted ceiling, a see-thru gas log fireplace and the casual warmth of a ski resort. The master bath has a Jacuzzi soaking tub and sauna. Large master suite with 2 walk-in closets built in cabinets. 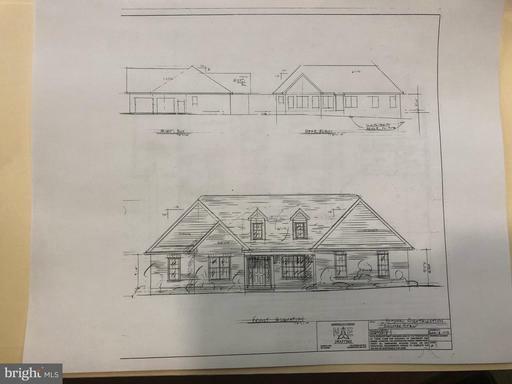 The fully finished lower level includes 1 huge bedroom, a full bathroom and kitchen, an office, fireplace, lots of closets and storage; luxury vinyl tile in a Versailles pattern throughout. Some more of this homes features are:*Two new Air Temp HVAC Systems, for upper and lower levels, installed in 2015. *Whole new Owens Corning Shingle Roof and 5" gutters with screen guards installed in 2012. *All Anderson Series 400 custom casement double-paned windows and screens. *All custom built Wood-Mode cabinets and shelves. *Kohler Bath and Shower fixtures and faucets. *Radon Remediation System installed in 2013. *ADT Security System equipped. *Helo heated cedar-lined 7 x 4 Sauna. Bigger than it looks. More than you expect. Lower level is perfect for guest, extended family, home office or rental. See for yourself - today! You cannot beat these views! This lovely well maintained rancher sits top a hill on an acre offering grand sweeping views of the valley. Enjoy your coffee as the sunrises or entertain into the evening as the sun sets. 3 main level bedrooms and 2 full main level bathrooms offer easy one level living. Laundry/mudroom off the garage, open eat-in kitchen with generous pantry and stainless steel appliances and a cozy living space with majestic views. Basement is extremely large with a walk out, 4th bedroom, half bath and utility/storage area. 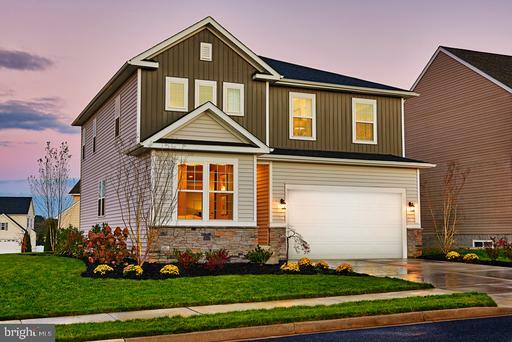 Perfectly appointed with easy access to commuter routes, Hagerstown and Frederick, or enjoy the small town living Boonsboro has to offer. Radon system is 2 years new and home has been lovingly maintained. Backyard has paver patio and side yard has space for a fire pit and playground. Everything youve dreamed of, all you need now is to move in and enjoy! 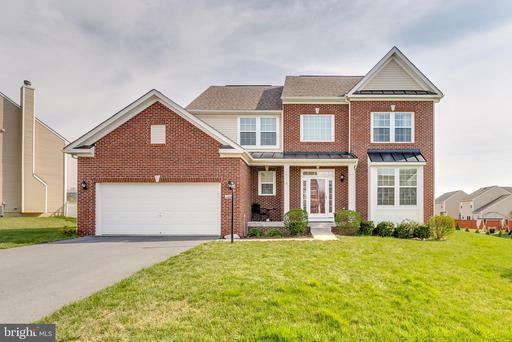 Luxury abounds in this stunning two-story MODEL home, now for sale! Gleaming oak flooring covers the entry and leads back into an inviting open layout. A dining room and a great room with a fireplace surround an impressive kitchen, which showcases stainless-steel appliances, quartz counter tops, backsplash, stylish white cabinetry, pendant lighting and access to the 15 x 10 covered patio. Oak stairs lead to the second floor, where you will find the beautiful master suite, complete with an oversized walk-in closet and a private bath with a barn door and an elegant frameless shower. A loft, laundry, bath and two additional bedrooms round out the home. Situated on a corner lot, this home is a must see and won~t last long! Community pools, clubhouse, fitness room, playground, tennis basketball courts. Walk to dozens of shops restaurants. Hagerstown Outlets are minutes away! 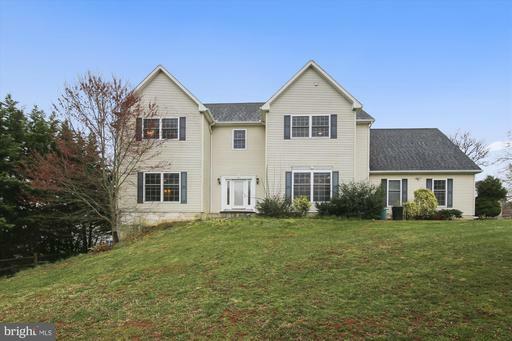 Amazing 4 bedroom, 2.5 bath custom colonial in fabulous close-in community, just a few houses away from the amazing Washington County Regional Park, with so much to do! 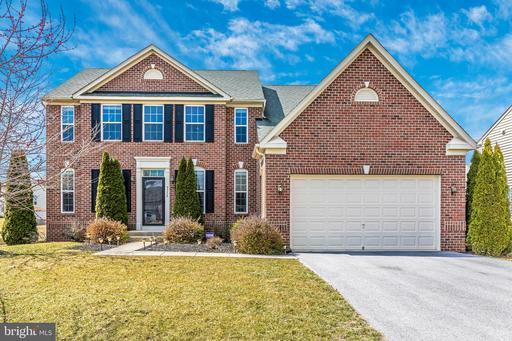 This gorgeous home has nearly 2600 SQFT above grade, plus large, partially finished walkup lower level. The main level features a gourmet, eat-in kitchen with gleaming hardwood floors, center island with breakfast bar, updated cabinets, stainless steel appliances, granite counters, huge pantry, table-space area and updated lighting. 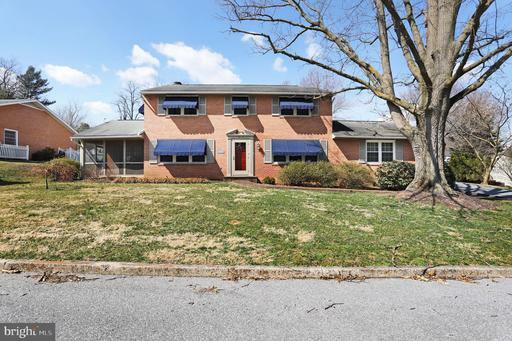 The kitchen is open to the fabulous family room with cathedral ceiling, palladium window, brick-hearth fireplace, ceiling fan and newer skylights. There~s a huge formal dining room with hardwood floors, chair rail, crown moulding and bay window, plus living room with gleaming hardwoods. Upstairs is an incredible owner~s suite, with cathedral ceiling, sitting room, dressing area, ceiling fan, huge walk-in closet and super-bath, with soaking tub and separate shower, dual vanities, ceramic tile floors and updated lighting. Rounding out the upstairs are 3 additional bedrooms, all very spacious and a large, hall bath. The walkup lower-level features a huge finished recreation room, plus a large, unfinished storage area. The backyard features a new fence, large deck and custom landscaping. Best of all, this home is just steps away from the park, with baseball, basketball, tennis, volleyball, Frisbee golf, soccer fields, picnic area, incredible tot lots and much more. Black Rock Golf Course is immediately adjacent the park. The home is close to all commuting routes, is freshly painted and in move-in condition with no HOA and is priced to sell now! 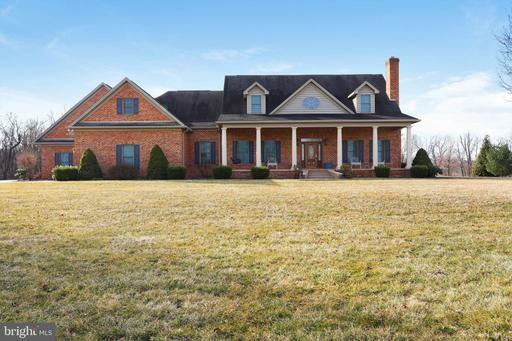 Custom built brick rancher on a --- acre lot with all the bells and whistles. Pick your flooring, pick your granite, make it your masterpiece, call Cynthia today! A must see! 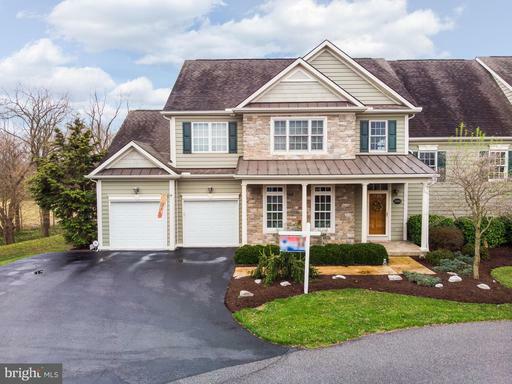 Beautiful colonial vaulted ceilings, columns and open contemporary floor plan in sought after Hagars Crossing. Rooms, rooms, rooms! Four bedrooms and three and one half bathrooms. Double doors lead to a main floor office. Two additional rooms in the basement recreational area to outfit as you please! And only 6 minutes from Downtown Hagerstown, and a commuter bus ride from Downtown Washington, DC! 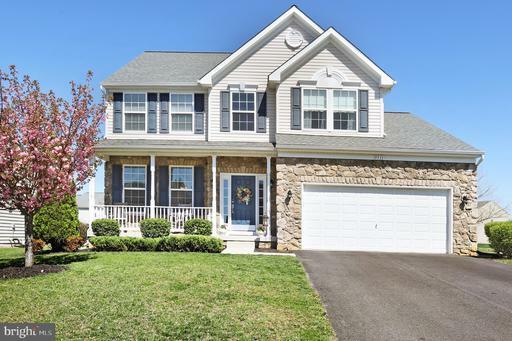 This beautiful colonial in the very desirable North End of Hagerstown has been FULLY RENOVATED top to bottom! 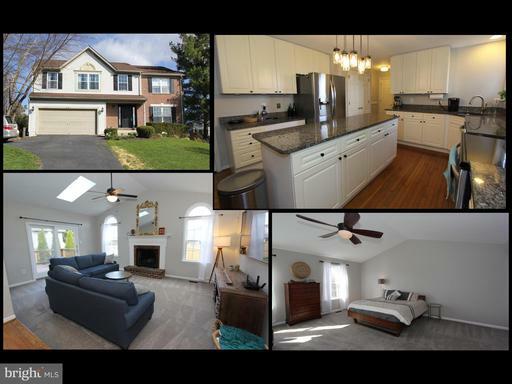 Features include hardwood floors throughout, dual zoned A/C, a huge master suite, fenced back yard, new kitchen w/GRANITE CT and SS Appliances, AND we have special financing available! 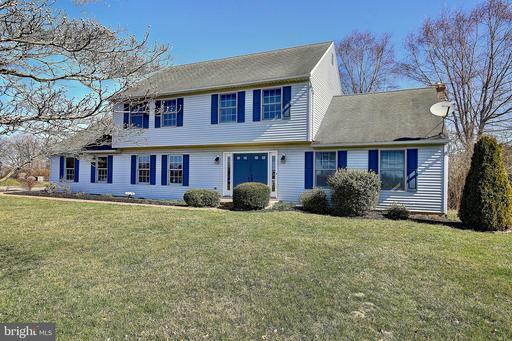 Gorgeous Colonial Home located on Beautiful Lot in Fieldstone Acres! 3 bedrooms, 2.5 bathrooms. 2,457 square feet of finished living space. The entrance opens to a hardwood foyer. Carpeting and tile flooring can be found throughout the rest of the home. The eat-in kitchen features a breakfast area, center island, electric cooktop, wall oven, and walk-out access to the patio and backyard. Off of the kitchen is a sunk-in family room boasting a stunning brick wall with a wood-burning fireplace. Beautiful French doors connect the family room and living room areas. The main level also hosts a formal dining room and half-bath. The upper level has 3 spacious and sunny bedrooms, including the master bedroom. The attached master bathroom includes a jetted soaking tub, walk-in shower, and dual vanities. The lower level is unfinished with tons of potential to be finished to create a game room, extra bedroom, workshop! The oversized 2 car garage is side loading and has overhead storage space. 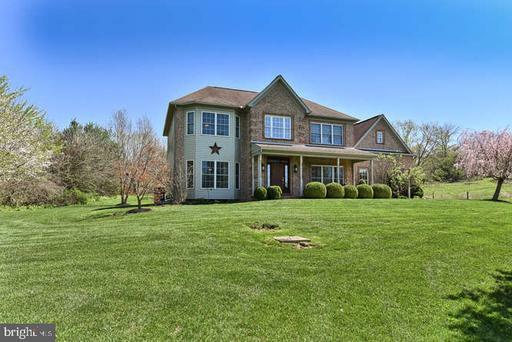 Enjoy the serene views of mature trees from your wood patio looking over 1.66 acres! This location is great for commuters, quick access to Rt. 40, I-70, close to I-81, Hagerstown, and Frederick! Motivated seller! Bring offers! Huge price reduction! Slashed $400K - Rare opportunity! 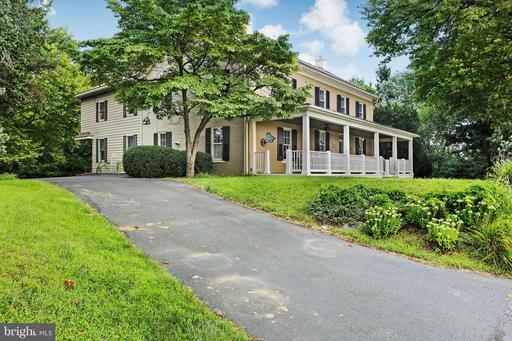 Exceptional incredible HISTORIC farmhouse on 14.2 acres w/ comfortable additions, pond, barn w/ stables conference area, office, tennis court INCREDIBLE chapel could be rented or guesthouse w/full kitchen, master BR full bath enclosed porch. Close to town within minutes to I-70 about 1 hr from DC Baltimore.Like buying a city park!Quiet setting. 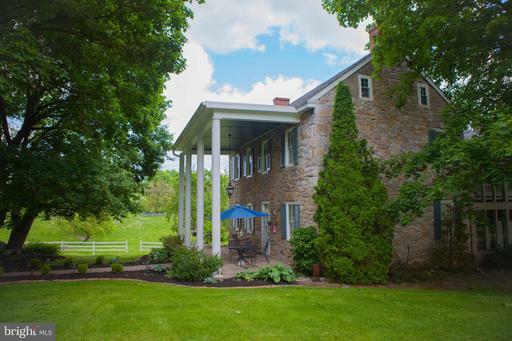 This property has two listings, classified as both residential and farm. 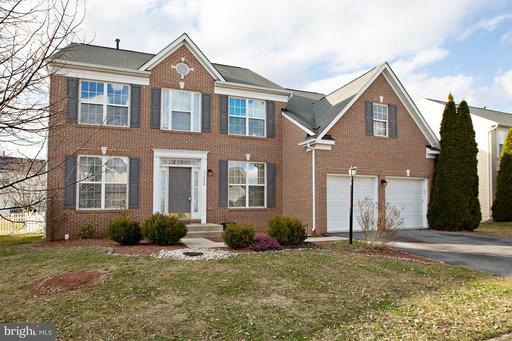 Stunning 4 bedroomm/2 full, 2 half bath brick front colonial located in sought after Westfields. 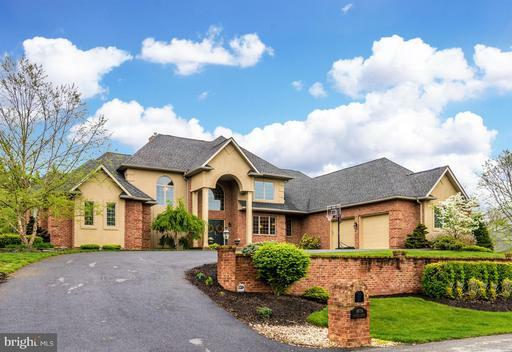 Morning room extension with cathedral ceiling, gleaming hardwoods, gourmet kitchen with oversized island, family room with fireplace, formal living dining rooms, luxury master suite, huge finished lower level rec room so much more. Over 4,200 finished square feet on 3 levels. Within minutes of I-70 + NO CITY TAXES! Jewel unit to be built at Emerald Pointes Active Adult Community 55+. 8 Ceilings 2 BR, 2BA Optional finished loft area could add upto 611 Sq Ft of additional finished space. Custom built to Buyers Specifications. County Taxes only. Model Home Open M-F 10am-4pm or Evenings and Weekends by appointment. Photos for Comparison only. 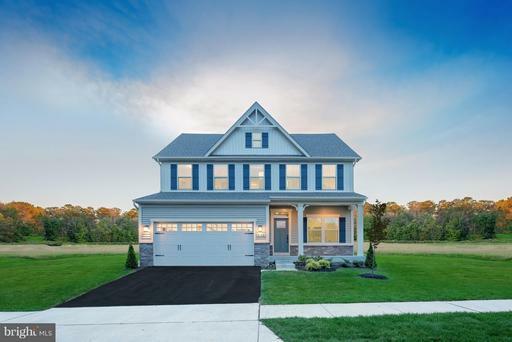 IMMACULATE...SHOWS LIKE A MODEL HOME! This wonderful family home has been so well cared for and it shines! Over 3000 sq ft above grade, this home as no carpet....ALL hard surface floors! Two story Foyer starts it off, Formal LR and DR, Beautiful kitchen with granite counters, stainless appliances, center island! Breakfast Room off of Kitchen with lots of light! Step Down Family Room off Kitchen and separate Laundry Room w/ wetsink! ALL appliances convey...most new since 2015. Powder room on main level. Upper level has BIG Master Bedroom with walk-in closet and Master Bath complete with whirlpool tub and separate shower. All other BRs are good sized and pretty full bath! Lower level is unfinished w/ lots of space stationed for a music rm, TV room, exercise and craft space....as well as lots of storage! BACK YARD IS AWESOME!!! Vinyl picket fence around entire back yard, shed, screened GAZEBO, and cool Firepit! 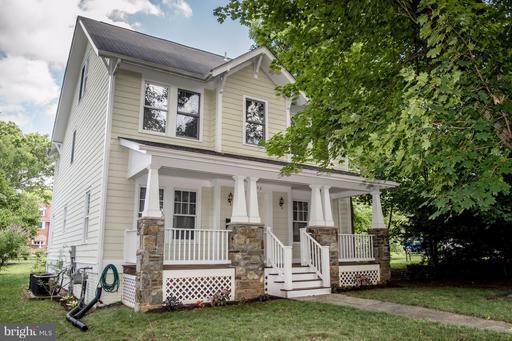 This really has it all and is absolutely move-in ready! All New COLUMBIA to be built to your specifications in the sought-after community of Westfields. Single family homes with the space you need. 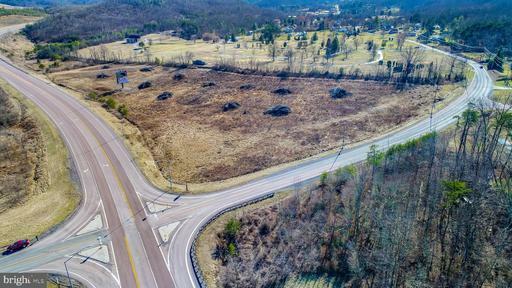 Just 3 miles from I-70 with community pool, tennis courts, tot lots, trails and more. Images shown are representative only. Please visit our model to explore options. Closing incentives available with Sellers preferred lender. Sales/Model Hours: M/T/Th/F 11 - 6; Sat. 11 - 5; Sun. 12 - 5; Closed Wednesday. Other home sites are available. FREE REC ROOM INCENTIVE for limited time only. They dont make homes like this anymore! 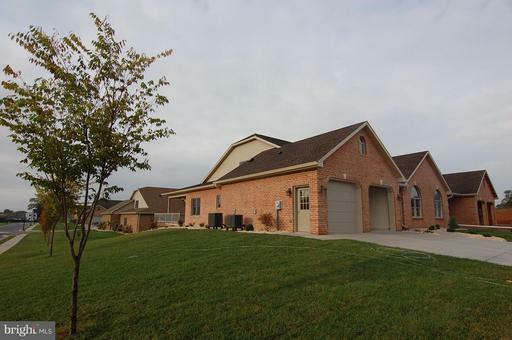 This all brick, three bedroom and two bath home has over 3000 sq. ft. This home offers hardwood floors, stainless steel appliances, upgraded kitchen cabinets, cathedral ceilings in family room with wet bar. Dont miss the huge Master with on suite bath and huge closet. On the side of the home is a screened in porch to enjoy on those beautiful summer nights. What more could you ask for? Call me today for a showing! CUSTOM BUILT COUNTRY BEAUTY! 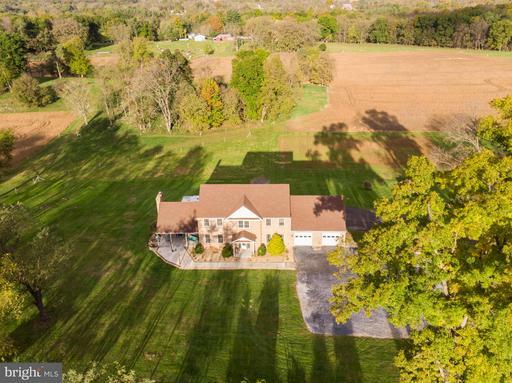 Sitting on 3.10 peaceful acres surrounded by beautiful farmland with VIEWS for miles! The possibilities here are endless! 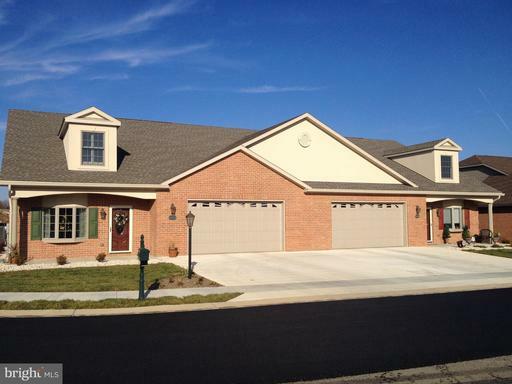 Over 4200 finished sq ft of living space including TWO 28x28 garages one front one rear. 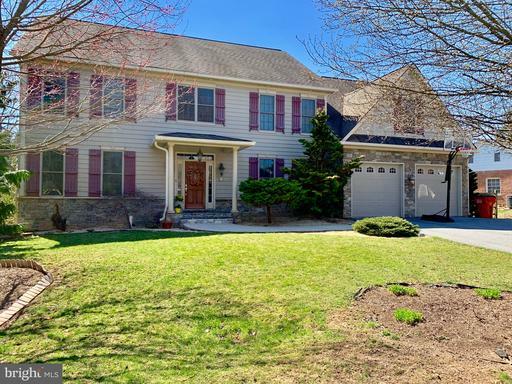 Home features a sweeping 2 story entry foyer, formal DR with Bruce HW floors, HUGE KT with 8x3 center island, Hess custom cabinets, granite counter tops dual wall ovens, large breakfast nook, 1/2 BA walk-in pantry off KT area, sunny family rm with cozy gas fireplace french doors to porch! Main level master suite with walk-in closet BA with oversize walk-in shower seat. 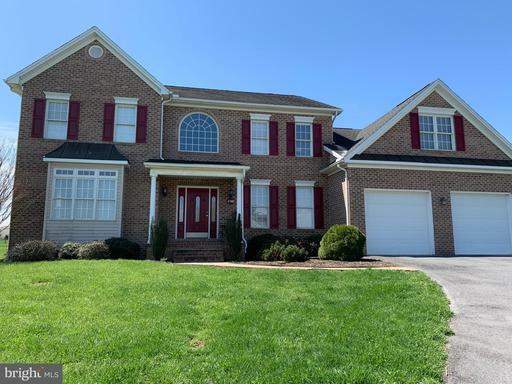 Upper level boasts a 2nd HUGE master suite with walk-in closet bathroom you will LOVE-HUGE dual vanity with granite, separate shower a large jetted tub, 2 addtl bedrooms a large hall bath with dual vanity plus separate laundry room with GREAT storage! Like to entertain? No need to leave home when this is your basement!! Multiple areas to kick back relax, a 4th bath, 2nd laundry area huge storage/workshop area with woodstove hookup. Run a business from home?13x15 space is already set up with a private entry-most recently used as a salon. Could also make a great in-law suite! UPDATED roof, HWH,flooring paint MORE! Dual zone HVAC. Central vac. Electric hookup in rear for RV. Horses welcome! SO much to consider-MUST SEE! Truly a One of a Kind Home Old Tastefully Meets New. Original Home Dates 1868 w/ Add in 1907 97 when Great Room was Added. 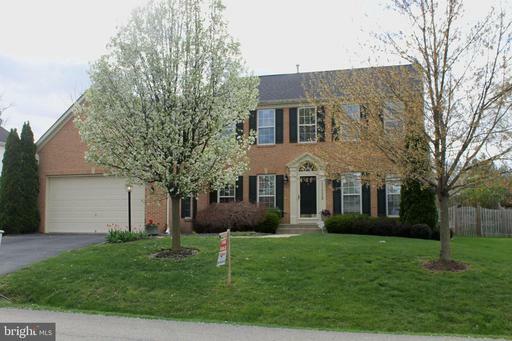 Wonderful Flow in this Almost 3800 Sq Ft Home w/ 3 Fireplaces, Courtyard Patio, Summer Kitchen much more. Newer Dual Zoned Nat Gas Furnaces, CAC, New Standing Seem Metal Roof, Soffit, Fascia Gutters, New Huge Front Porch with Ceiling Fan . Dual Stairs, 2nd Level Laundry. 1.61 Private Acres with Pond. Dont let the Location Fool You.....It Feels Secluded. Better than new with all the bells and whistles! Custom design with hardwood floors throughout, top to bottom. Gourmet kitchen opens to dining and family room with fireplace. Master suite on the main level with luxurious master bath. Newly remodeled with granite and sparkling ceramic tile. Two large bedrooms upstairs with a large bonus room with a pool table conveys. This property is equipped with a chair lift conveyed or seller will remove at own expense. Sold to settle an estate. Best deal around, come and get it!